Young entrepreneurs to benefit from coaching, pitching opportunities and online training. (Geneva) – The International Trade Centre (ITC) has teamed up with Child Youth Finance International (CFYI) and Youth Business International (YBI) allowing for better and strong support to young entrepreneurs. 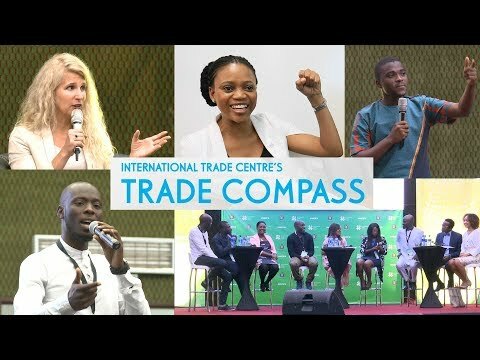 In collaboration with CYFI, a global, multi-sector network dedicated to enhancing the financial capabilities of children and youth, ITC’s Youth and Trade Programme will help ease the access for young entrepreneurs to networks of coaches and impact investors, including through so-called ‘Business to Investors’ events. At these meeting, young entrepreneurs will have the opportunity to pitch their ideas directly to investors. Meanwhile, the partnership with YBI, a global network of organisations dedicated to helping young people to start and grow their own business and create employment, will focus on exchanging knowledge on youth entrepreneurship support. In addition, YBI members will get access to a wide range of online training courses offered by ITC’s Youth and Trade Programme, and which are tailor-made towards building the skills of young entrepreneurs. A goal of both partnerships is to raise funding to help address the needs of young people in developing countries and transition economies for greater entrepreneurial support. The partnerships with CFYI and YBI were agreed in conjunction with the 2015 edition of the Global Entrepreneurship, a global initiative in 160 countries across the world. The partnerships will also form part of a wider ITC contribution to the recently agreed United Nations-led Global Initiative on Decent Jobs for Youth, which was approved by the UN Chief Executives Board for Coordination (CEB) on 18 November. This initiative aims at scaling up action in support of youth employment – one of the main global challenges and priorities of our times. ITC’s Youth and Trade Programme supports youth entrepreneurship and enables young entrepreneurs to internationalize their business. Among the tools provided by ITC is the Trade Accelerator, an innovative ecosystem model that facilitates the internationalization of start-ups run by young people. During Global Entrepreneurship week, ITC also launched an e-learning course entitled Taking the Entrepreneurship Route. An introductory course on why and how to become an entrepreneur, it is accessible on ITC’s online learning platform, the SME Trade Academy. ITC is the joint agency of the World Trade Organization and the United Nations. ITC assists small and medium-sized enterprises in developing and transition economies to become more competitive in global markets, thereby contributing to sustainable economic development within the frameworks of the Aid-for-Trade agenda and the UN Global Goals. During one week each November, thousands of events and competitions around the world inspire millions to engage in entrepreneurial activity while connecting them to potential collaborators, mentors and even investors. Powered by the Ewing Marion Kauffman Foundation and sponsored by Dell, the initiative is supported by dozens of world leaders and a network of roughly 10,000 partner organizations. For more information, visit www.gew.co and follow GEW on Twitter @unleashingideas and on Facebook at www.facebook.com/unleashingideas.